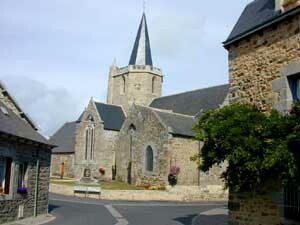 The town of Hillion forms a peninsula east of Saint-Brieuc, at the bottom of the Bay of Yffiniac, bordered to the north and west by the English Channel to the east by the Gouessant south by National number 12. Without great relief with however many hills, the town is crossed by a single river, creek or stream Saint René of Cre, which flows into the sea to Greaves. 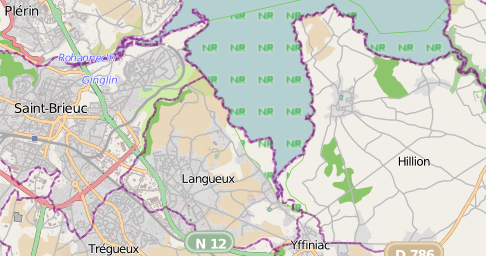 4 beaches, Hotellerie, Lermot, Bon Abri and Granville, bordering the town over a length of about 12 km, and are included in the natural reserve of the Bay of St Brieuc, created by decree in April 1998. The exact origin of the name was not found, a small legend says qu’Hillion descendants of the ancient “ILION”, famous city of Asia Minor, which was destroyed by the Greeks. Its inhabitants, fleeing on boats have crossed the Mediterranean where a storm scattered them. Thus the legend baptized the country. More rigorous, another hypothesis, chronic Brieuc said qu’Hillion was also called vetru STABULUM (old barn). Division, author of “Lives of St Brieuc and St Guillaume,” the name Hillion, comes from the Latin ILEX? Holm oak or green. Others point out that the name simply comes from the name of his Castle. As we can see, everyone can make his choice? The town is very old since one discovered flint knives and polished axes dating from the Celts, 650 years before Jesus Christ, and of bronze axes. It is also certain that the Romans (50 BC.) Occupied it. coins were found with images of Roman emperors, villas and temples remains in Grandville. A Roman road runs through the 5 km away. 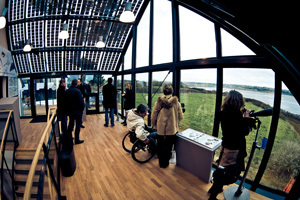 The house of the bay is a place that will allow you to observe the bay of Saint-Brieuc in length and breadth. Since the renovation of this place, the observatory is in a glass shelter with binoculars available to observe the coastal wildlife. For more information about the house of the bay, visit the tourist office.